Memberships Season 2018 - THE HUNT IS ON! 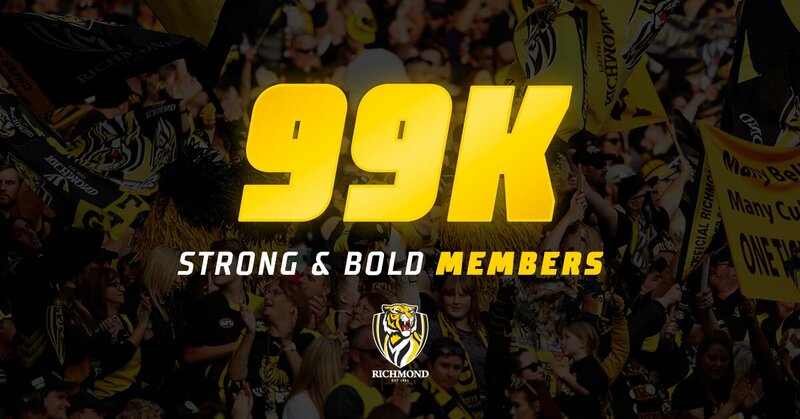 Re: Memberships Season 2018 - THE HUNT IS ON! stuff of trickling out small increases is all part of the gimmick. I think you are somewhere in the ballpark. I am totally confident on reaching the 100,000 mark. I reckon they will have already talked to the AFL to make sure the AFL are ok with how we are arriving at the figure. 1,559 to go to reach 100k. 1,447 to go to reach 100k. 1,322 to go to reach 100k. We should be close to 99k by the end of the week . 1,170 to go to reach 100k. Under a grand to go . 954 to go to reach 100k. this is unbelievable mind you I was listening to Greek radio this morning and they were talking about Ronaldos move to Juventus. The Italians sold out there membership in 2 days - 33,000 membership seat allocation to games, and generated 33 million Euros as a result which means that a Juventus annual seat costs about 1000 Euros a season. Simply Amazing. They also sold $60m worth of jerseys in one day! !